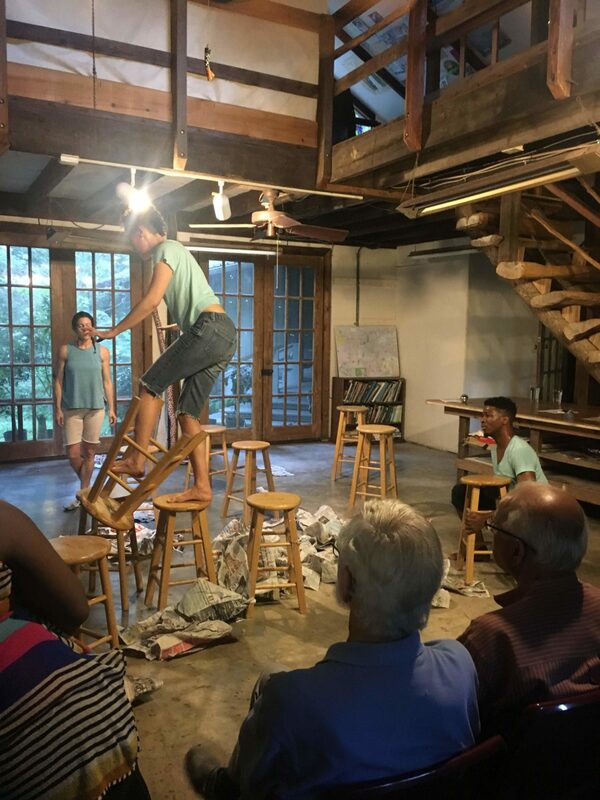 The Tè Glise Collective– comprised of Dasha Chapman, Jean-Sebastien Duvilaire, Ann Mazzocca and Phil Rodriguez– is a group of dance artists, scholar-practitioners and musicians who explore collaborative site-specific projects in relation to place-making, history, and the role of spirit in forging other futures. 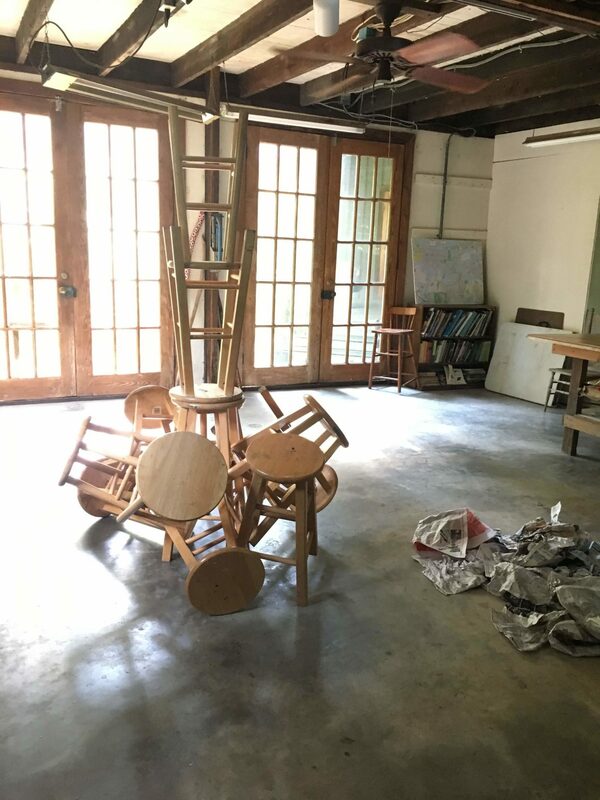 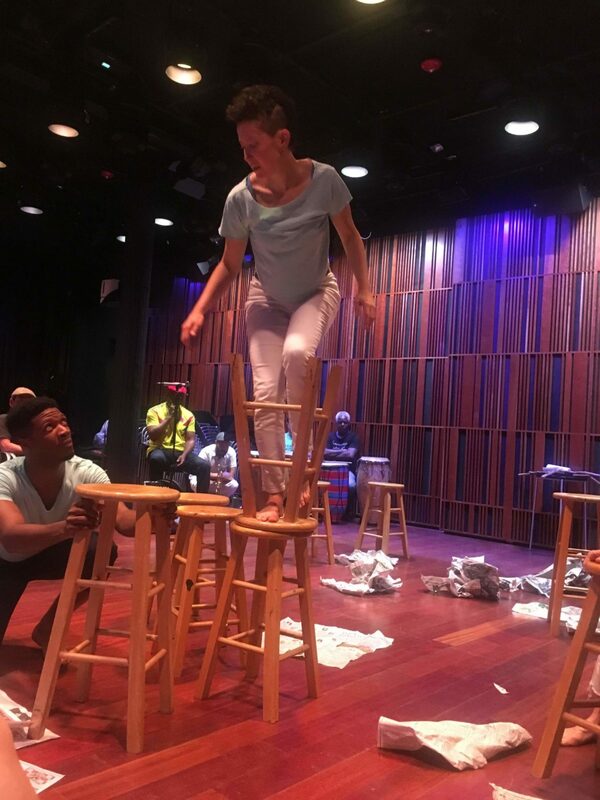 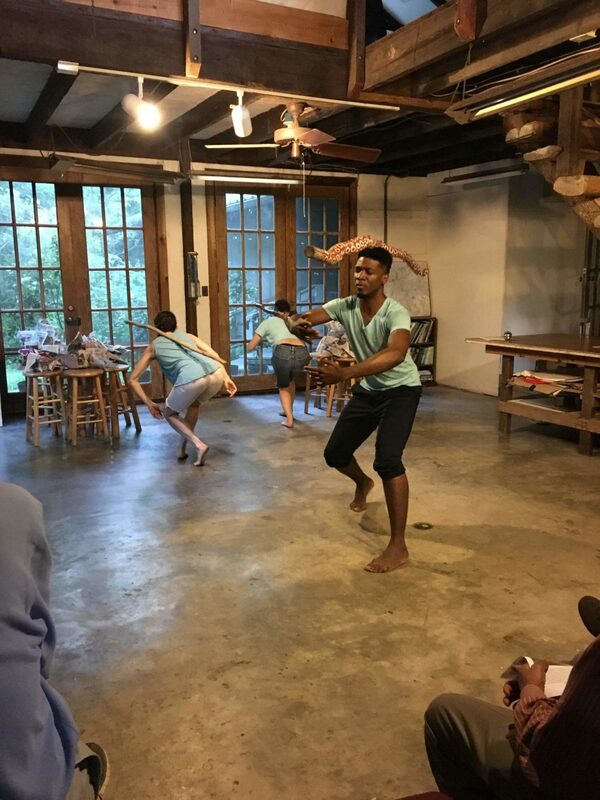 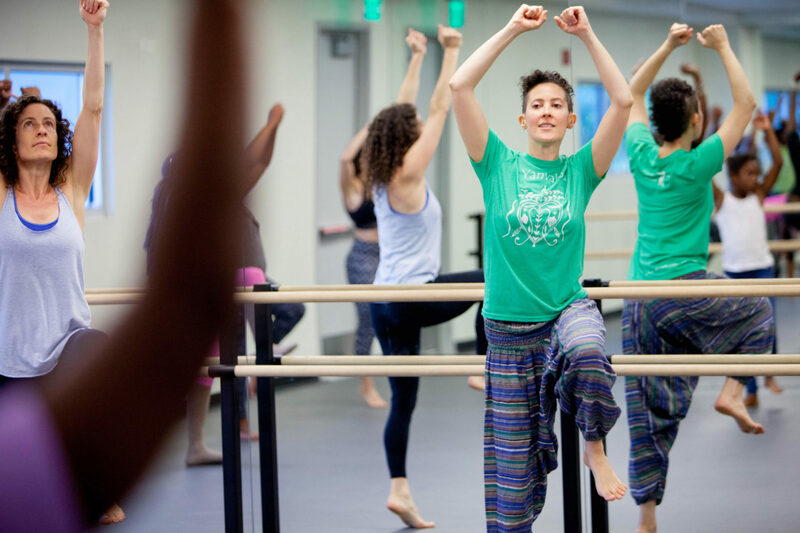 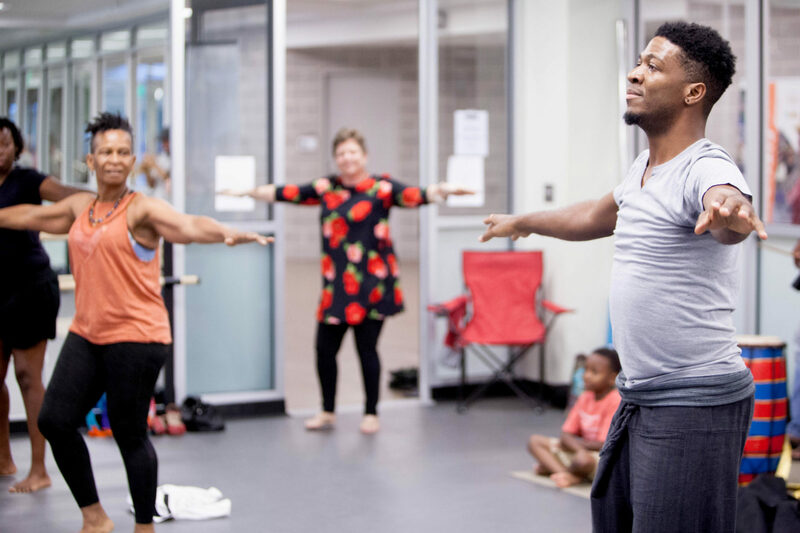 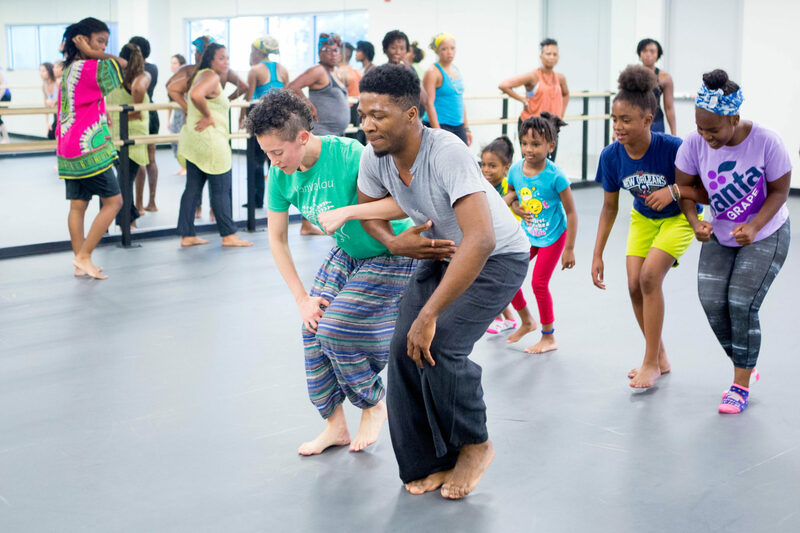 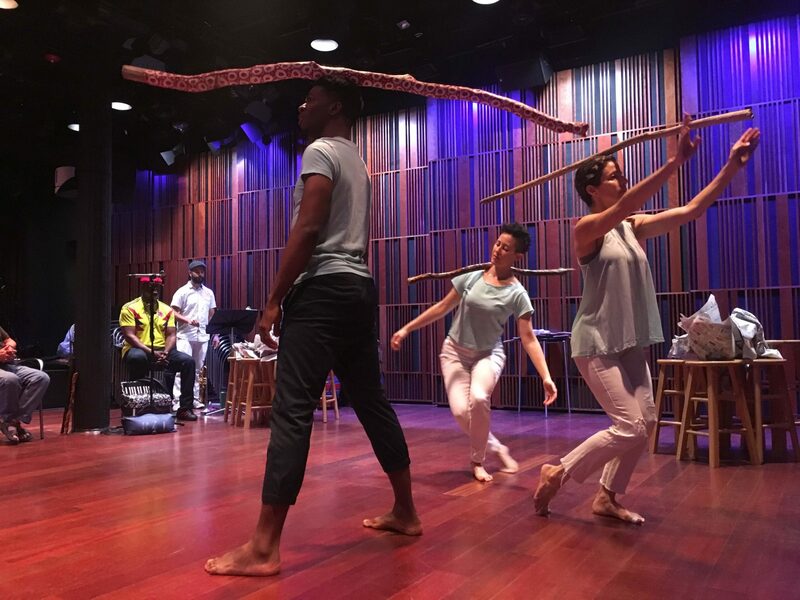 In residence they used their Haitian and broader African diaspora performance knowledges to activate and excavate the connections between the histories these performance modes carry and the cultural survivals inherent and integral to New Orleans ecologies. 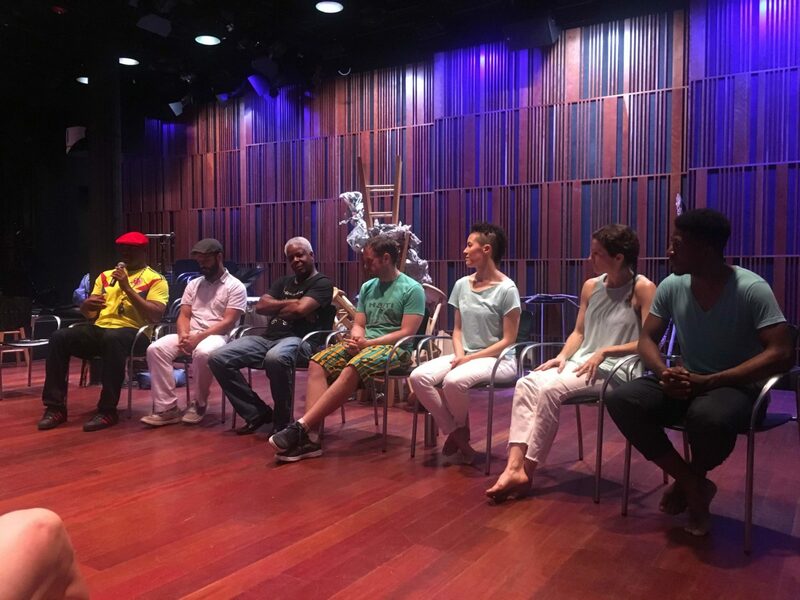 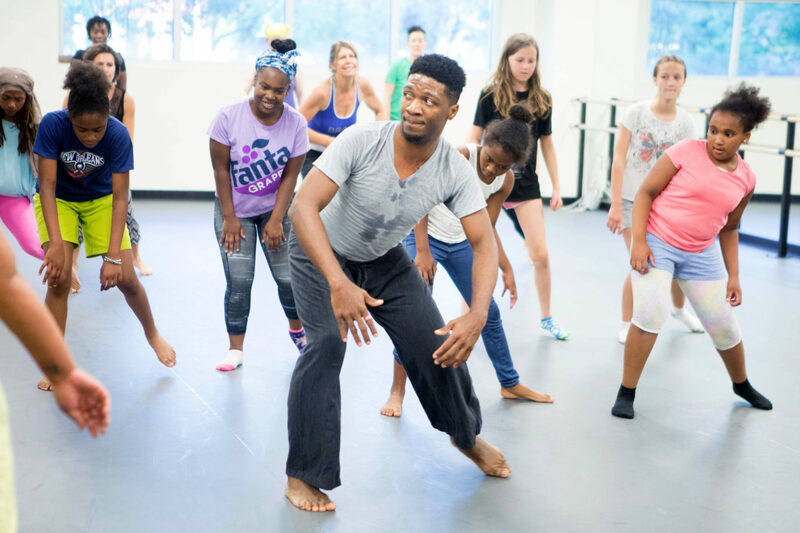 Public engagement activities included two free Haitian Dance workshops at the Tekrema Center for Art and Culture and a work-in-progress performance at the New Orleans Jazz Museum in the Old U.S. Mint featuring local musicians Bruce “Sunpie” Barnes and Damas “Fan Fan” Louis.